As of now, I’m sure you’ve heard the term “farm-to-table”. It’s something of a relatively new concept that’s been swirling about the past few years… or is it? It’s a movement that’s meant for you to go directly to the farm and cut out the middleman: the market or store. Farm-to-table has gained so much popularity that consumers have started incorporating their own methods of doing farm-to-table by starting their own gardens or even raising their own chickens for eggs. Which brings us to this delightful farm-to-table kitchen we recently remodeled. The inspiration for this space came from their farm-to-table lifestyle. 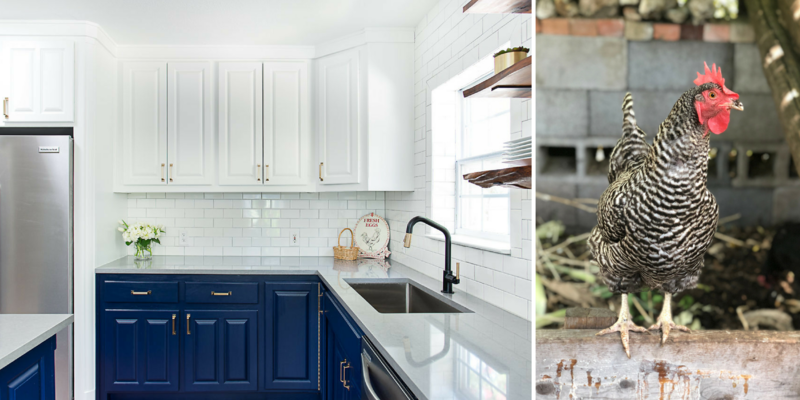 With chickens in the backyard and their own honey-bees working hard to make honey, we wanted to create a kitchen that reflected a modern farmhouse feel, and boy do we love the results! So, is farm-to-table a new concept? Well, if you think about it, our ancestors lived like this, and we’re just bringing it back into the modern world in our modernized kitchen spaces! So when we say we love the results of this space, we mean we LOVE the results of this space! 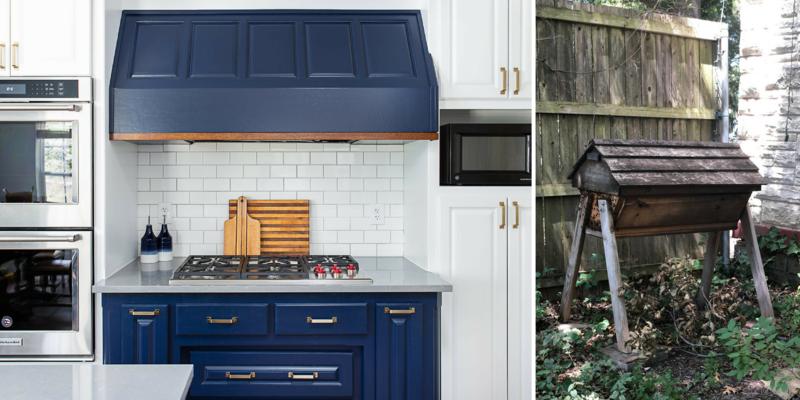 The two-tone of the white and the navy blue cabinetry, subway tile, and even the simple wooden touches elevates this kitchen into a modern farmhouse look. 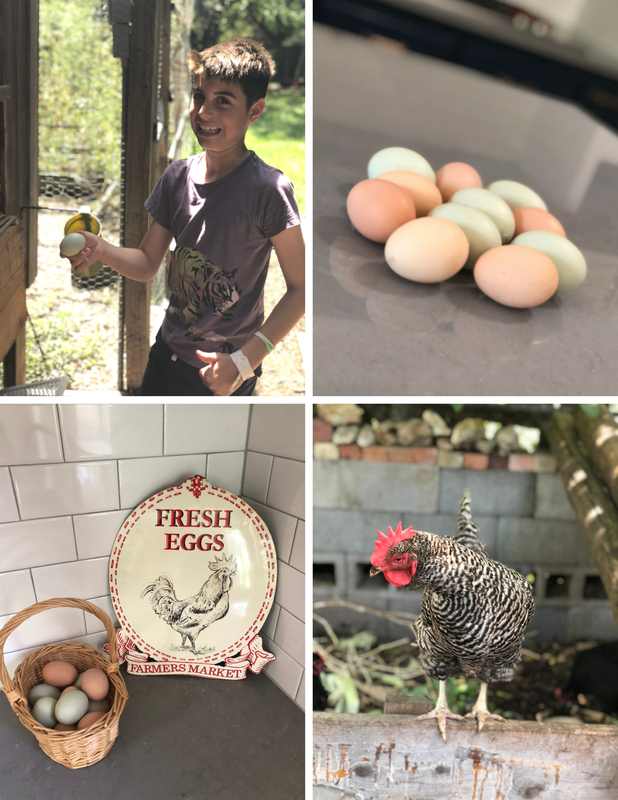 The idea that our clients can simply go into their backyard, fetch some fresh eggs, and whip up a farm-to-table breakfast gives us a bit of envy. If you can just imagine a Sunday morning, baking some bread in the oven, cracking some fresh eggs onto the skillet, and then adding some fresh honey to your coffee… you’d be envious too! The farm-to-table life is looking more and more attractive if you ask us! You can take the concept of “looking good=feeling good” in your kitchen too! Your kitchen reflects you and who you are! So, when remodeling this space, we used the farm-to-table lifestyle as our main focus of inspiration. The elements such as lighting, backsplash, countertop, fixtures, and color schemes all carefully implemented to reflect on who this family is. We just love the results! We hope you enjoyed this kitchen as much as we did!